Despite its rise, Fiat Chrysler gets less analyst love than rivals. Despite a stock-price increase of more than 50% since its IPO, surging sales, and great leadership, Fiat Chrysler Automobiles N.V. (NYSE:FCAU) remains one of the least-loved auto stocks among analysts. Let's look at whether the analysts have found hidden problems, or if this is a good opportunity to bet against the crowd. Although I'm usually not a fan of tracking analyst opinion, the contrast between opinions on Fiat Chrysler and its rivals is worthy of exploring. The following table shows how analysts are more bullish on rivals General Motors (NYSE:GM) and Ford (NYSE:F) than they are on Fiat Chrysler. While Fiat Chrysler has the same number of analysts with a "buy" rating, it has far more analysts rating it "underperform" or "sell" than GM or Ford. Clearly, there is a large group of analysts who are bearish on Fiat Chrysler. Fiat Chrysler is the smallest of the Detroit Three, but the automaker's CEO, Sergio Marchionne, wants to expand in both existing and new markets. To do so, the company has been making major investments that require financing and increased leverage. In December, the automaker launched a $2.5 billion mandatory convertible bond offering alongside a sale of 87 million shares held in its treasury. Like much of its debt and cash generation, this capital will help fund investments necessary to Marchionne's goal for expansion. But this expansion has raised concerns among analysts, since it's using up much of Fiat Chrysler's cash flow and pushing its debt levels higher. Bloomberg noted the opinion of George Galliers from ISI Evercore, who's bearish on Fiat Chrysler for burning cash and carrying more debt. Looking at future earnings estimates, Fiat Chrysler stock appears to carry a premium valuation, trading at 15.2 times and 9.6 times 2015 and 2016 earnings, respectively, levels higher than the stocks of GM (8.3 and 7.8) and Ford (9.8 and 8.7). Combined with the automaker's debt situation, I can see how analysts find this stock unattractive. Since analyst forecasts tend to focus on the near term, it makes sense that the stock doesn't look attractive to them and consequently has seen a lack of favor. However, there's another way to look at the situation at Fiat Chrysler. Last year, Fiat Chrysler unveiled its five-year plan focusing largely on expansion of the company and updating of existing models. By the end of the program, Marchionne is targeting 5 billion euros in net income for Fiat Chrysler. But during the execution of the plan, there will be challenges that harm near-term profits and shareholder capital returns, because of the massive investment needed for expansion, estimated at around 48 billion euros. This ongoing investment in expansion will mean less cash flow available for shareholders and consequently will keep dividends below the 3%-4% range at General Motors and Ford. At the same time, debt levels will also remain elevated until the automaker generates enough free cash flow to pay it down. However, what investors will get is an automaker taking advantage of new markets and making greater use of existing brands. 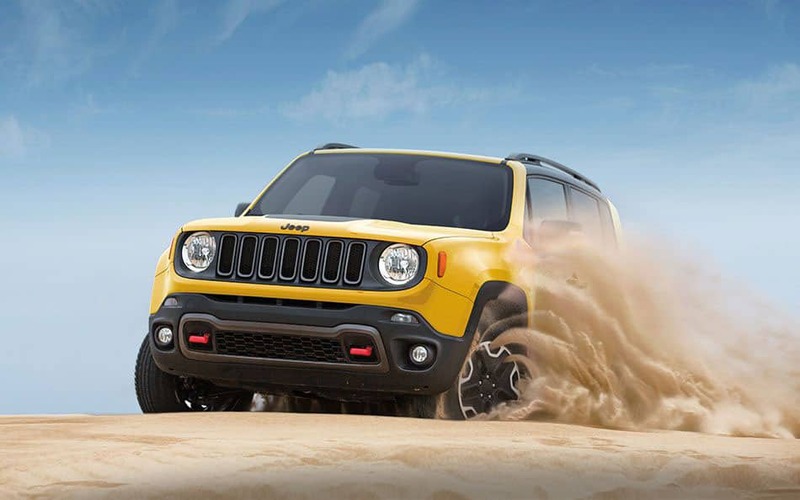 An expansion of Jeep in China, the updating of the Chrysler product line, and the transformation of Alfa Romeo into a competitive luxury and mid-market brand instead of a niche company should make Fiat Chrysler into an automaker with much greater economy of scale. As the five-year-plan name implies, Fiat Chrysler is investing for the long term, sacrificing near-term profits for long-term gains. With the target of 5 billion euros in net income, shares have significant long-term upside if the automaker can get anywhere near this amount of income. With a commitment to expansion and currently elevated debt levels, Fiat Chrysler is more susceptible to macroeconomic troubles than most other automakers. Since the plan relies on new markets and brand expansion, there is execution and sales risk in how management implements the plan and how consumers react to the vehicles. Although he can't eliminate risk, having Marchionne in command of Fiat Chrysler is a major positive. So far he has led the turnaround of Fiat, acquired Chrysler, and begun to integrate the companies after pulling off a successful merger deal. I see Marchionne as one of the best leaders in the automotive space today. Fiat Chrysler is playing the long game with its current strategy, and it doesn't fit well with more near-term-based analyst estimates. While Fiat Chrysler does have some near-term risk as the automaker waits for profits to follow after making investments, the long-term potential makes me bullish on the automaker. Investors with a long-term outlook should see whether Fiat Chrysler fits with their investment strategy, despite a more bearish analyst community.